A number of accounts are available to members of the college community, based on their role at the college. St. Norbert College uses G Suite to manage functions like Gmail, Calendar, and Drive. As an education customer, we have unlimited space for storage of emails, attachments, files, documents, spreadsheets, presentations, etc. Access to these tools is via your email address. Moodle is SNC’s Learning Management System, an online collaboration space where students and professors interact. Professors create assignments and assessments, share documents, and hold discussions. Students can also use Moodle to collaborate with classmates. If your professor uses Moodle, you can check your grades, get access to materials, and turn in assignments. Access Moodle using your email address. Campus users are able to access certain restricted content areas on the St. Norbert College web site. Access to these areas is gained by entering your six-letter login ID. Printing functions are available to all students (including the Medical College of Wisconsin) via the print.snc.edu web site. Enter your six-letter login ID and password when prompted. Most staff and faculty are also able to print via the traditional "File > Print" option as well as Google Cloud Print. KnightLine is our enterprise system that provides access to functions like time sheets, financial aid, and payroll. Access to KnightLine is gained by entering your 6-letter login ID along with your password (same password as that used for email). Users can set their initial password or change their current password for all of the above functions at any time (even after it's expired) from our Computer Account Management page. 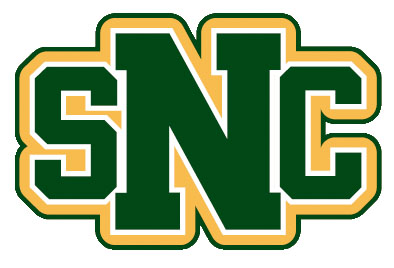 All students are assigned an account by the Admission office when they make their first tuition deposit before the beginning of their freshman year (or before transferring to SNC). At that time, their St. Norbert College email account is activated, and they can start sending and receiving email using the new account. Upon graduation, all student accounts are converted to alumni accounts. Accounts are created for St. Norbert College faculty and staff upon entry of their employment data into our tracking system. Once the record is activated by Human Resources, the email account is available for use within an hour. This typically happens on the employee's first day of work. Supervisors who hire an employee (or change their status, etc) should do this with the Human Resources office. Students who have completed two semesters at St. Norbert qualify for an alumni account. This means that their Google Apps account remains active, and they are able to continue to use their SNC email address indefinitely. They also have access to other apps like Google Calendar and Google Drive. Alumni may keep their account for as long as they like, but it must remain in use. Once an alumni account is inactive (no network logins, no Gmail logins, no password changes) for six months, it is automatically disabled. If an alum does not currently have an account or their account was disabled, they may request account activation by completing the Alumni Computer Account Application Form. If an alum decides they no longer need their SNC account, they can submit a request to the ITS Service Desk to have it immediately disabled. Upon retirement, faculty and staff accounts automatically transition to retiree accounts. Retirees may keep their account for as long as they like, but they must remain active. Once a retiree account is inactive (no network logins, no Gmail logins, no password changes) for six months, it is disabled. Retirees who have non-technical questions about the status of their account may contact the office of Human Resources. If a retiree decides they no longer need their SNC account, they can submit a request to the ITS Service Desk to have it immediately disabled. This only works after the account has been turned off by HR. To request this access, the supervisor should contact Human Resources. NOTE: If the former employee is also an alum of the college, that person will lose access to their account during the time that the supervisor has access. When that period of time has expired, the alum will then have access based on current policies for alumni accounts.